Making a will is often not a top priority for people. With busy jobs, lives and families, it can often be easy to get swept up in day-to-day living which can leave very little time for planning for the future. It’s also an understandable thing which people can put off doing. Making a will is essentially planning for what will happen after you die, and getting to grips with our own mortality is not often high on the agenda. But it is very important to be realistic. 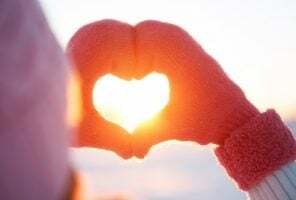 Nobody knows when they will die and if you die intestate – with no will – it can cause all kinds of problems for your loved ones, who will already be going through an emotional time and dealing with their grief. Your hard-earned money and assets are yours to bequeath, and if you make a will you can ensure they are going to the right people. It doesn’t take long to make a will and it’s fairly straightforward. Once it’s done then you can carry on with the peace of mind you have made provision for your loved ones. It’s a legal document which sets out your wishes for what will happen to your property and possessions after your death. It can be as simple as saying you will leave everything to your spouse or civil partner, but it is worth bearing in mind making provision for what will happen if they die before you (or at the same time) – especially important if you have children. This is when things can get tricky. The law will step in and decide how to divide your property and other assets – which could mean them going to distant relatives or the state, rather than the people you would prefer to receive them. The law also dictates who will be responsible for administering your estate. Even if you don’t have close family or children, having your say over your own possessions is surely a better path – you could choose to bequeath to friends or charities, for example. These are the people you appoint to look after your estate when you die. They can be family, friends or professional contacts – it’s actually a good idea to have a mix, as a professional will not only bring good advice over complicated issues like tax, they are slightly removed and will be less emotional than those close to you. Does my will cover guardianship of my children? Yes, and it’s another big reason to make one! If you have dependent children you can outline in your will who will look after them if you die, as well as making the right financial provision for them. Does it take very long to make a will? No, usually just a few hours to consider what you’d like to do, an initial meeting followed by checking the draft and finally signing the finished document. It really doesn’t take long considering the peace of mind it brings. Do I need a solicitor or can I do it myself? A will is a legal document so it follows that it makes sense to take legal advice – one simple mistake can have disastrous consequences. You can draw one up yourself online or using a form, but we don’t really recommend you take this route. Do I need a new will if I get married or divorced? If you get married or enter a civil partnership your existing will is cancelled so it’s a good idea to make a new will to reflect your current circumstances. If you die without making a new will then while your spouse or civil partner may get something, other family members may also get a share. If you get divorced your former spouse or partner will not inherit, but this only happens after your divorce is finalised, so you may wish to change your will as soon as you are sure the relationship has broken down. Most of us work very hard to earn a living, put some savings aside and invest in our properties. Having a proper will in place means that your estate will pass to the people you choose and that any children are looked after by your appointed guardians. It really is worth spending a couple of hours for this peace of mind. The Private Client team are leaders in their field. 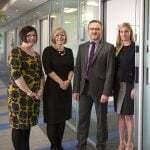 Kurt, Paula, Harriet and Melanie are specialist private client experts with a wealth of experience in all areas of private client work from wills to tax, trusts and probate. If you would like more information, call 01202 786294.